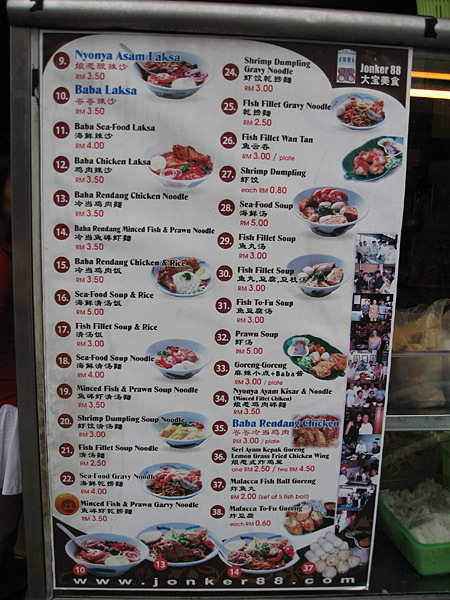 This is probably the most popular food outlet along the famous Jonker Street in Malacca. 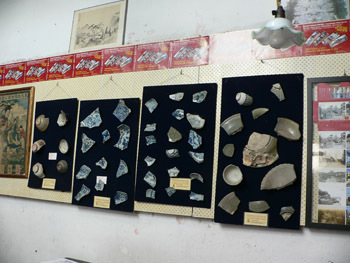 It has quite a number of offerings. Pernakan style food, desserts as well as home-made kuih are among the delicacies served in this shop. There are 2 stalls on the outside. One serves a variety of noodle-based dishes, as well as some finger food. 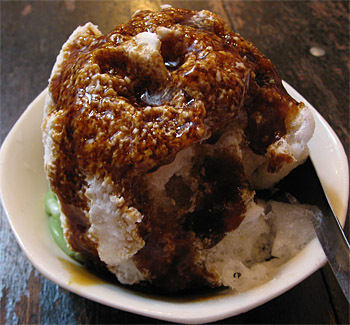 The other stall serves desserts, namely ais kacang and chendol. Whenever I am around the area, I would definitely drop by for the chendol. Just like any other chendol, it comes with the green chendol jelly, ice, santan and red beans. But the best thing about it is the thick gula melaka (palm sugar) that they pour on the top. Mmmmmmm, that is what makes it special. Of the late, I've been asking them to add more sugar. However, I find that their quality isn't very consistent. On one day, the santan didn't really taste that nice, making the dish pretty bland. The next day when I went back, the santan was creamy and tasty. 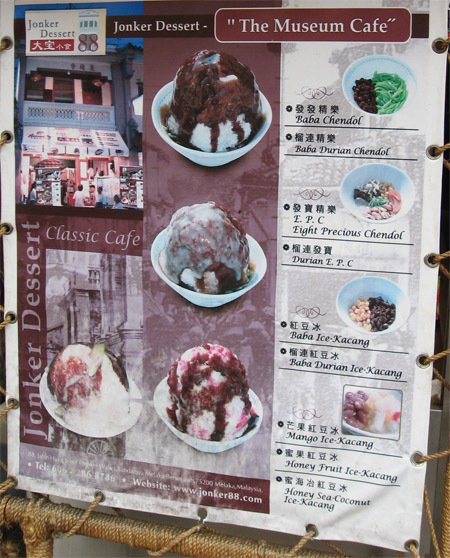 Among the other dishes that they also serve are ais kacang, Eight-Precious Chendol (I have never tried it before, but it looks like it comes with 8 variety of ingredients) and mango and durian flavoured ais kacang/chendol. As I mentioned earlier, the other stall serves noodle dishes. 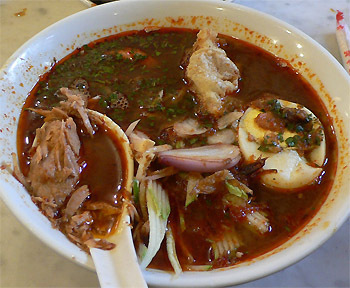 I've only tried the Nyonya Asam Laksa and the Baba Laksa. Among the two, I very much prefer the Asam Laksa. As the name implies, this one is a little bit sour. It comes with rice noodle, tuna, prawn, half an egg, wanton and some sliced cucumber and onion on the top. I don't think I have tasted a dish like this anywhere else, so it is definitely worth a try. 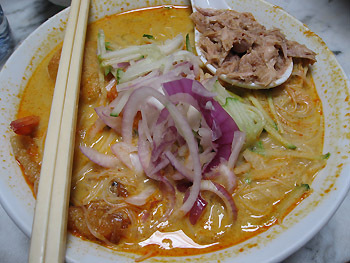 The Baba Laksa is very much like the curry mee that you can get elsewhere. It comes with meehoon, tuna, tahu-pok, loh-bak, prawn and sliced cucumber and onion. Most of the people that have tried this said that it isn't as good as the Asam Laksa. Inside the shop, they serve a variety of kuih-muih, as well as some home-made dishes. 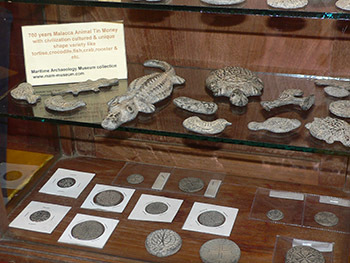 They also have some historial artefacts and relics on display inside the shop. Overall, the Museum Cafe serves up some pretty decent meal, and I highly recommend the cendol. 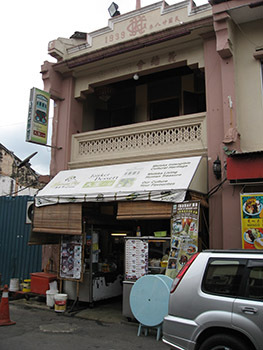 Location: It has a strategic address, 88 Jonker Street (Jalan Hang Jebat). 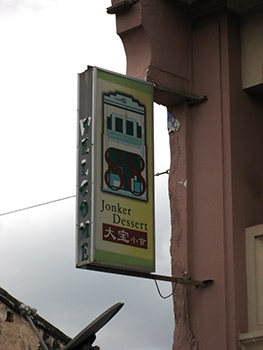 Just look for a signboard with the number 88. Opening hours: They open around 9-10am. Not exactly sure what time they close, but on the day they have the night market, they were still open at 10pm.